Like its protagonist's sputtering yellow Ford Pinto, Lewis Teague's 1983 adaptation of Stephen King's Cujo takes awhile to get moving. Our story revolves around the eponymous rabid Saint Bernard who terrorizes anyone in his path, including mother Donna Trenton (Dee Wallace, the aforementioned Pinto owner), her son Tad (Danny Pintauro) and a few other unfortunate victims. 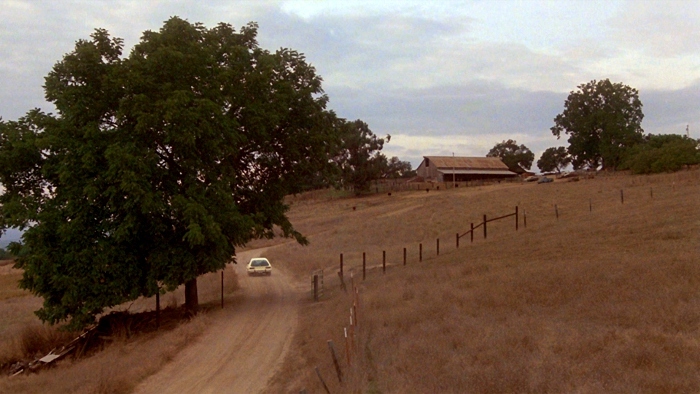 Divided almost precisely in two, Teague's adaptation spends the first half introducing us to the characters before running 'em through the wringer; it feels just like your average family drama, save for the tension mounting on Cujo's property after he's bitten by a bat while hunting. The poor pup's gradual transition from friendly to ferocious at his owner's isolated repair shop is almost depressing, especially if you're a die-hard dog lover. But since King made a successful career out of everyday terror, you'll just have to get over it or watch Lassie instead. Originally published in 1977, Cujo is regarded as one of King's bleakest novels. For better or worse, the oppressively dark ending was changed for Teague's film adaptation...and with King's blessing, no less. Either way, the film's distinct division between personal drama and suspense works well, as the family's crumbling foundation makes the dangerous canine standoff all the more gripping. It's also largely due to strong performances by Wallace and the young Pintauro, who manage to create a realistic mother-son dynamic and sell the terror with energy to spare. Certain plot points seem a bit too convenient (Donna's husband drives a Jaguar, they've got a huge house by the ocean...and she drives a hatchback? 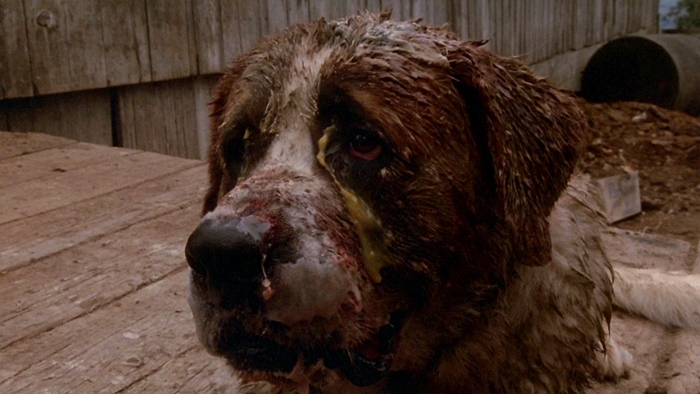 ), but the meat of Cujo's story is surprisingly fluid and believable. Though certain elements of the production have aged poorly during the last 30 years, Teague's adaptation is still effective if you're in the right mood. 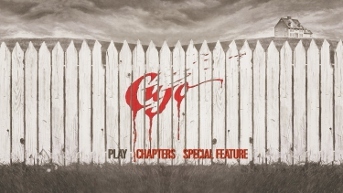 Cujo was formerly the property of Artisan and Lionsgate, which guaranteed multiple home video releases. The last one was a 25th Anniversary Edition released on DVD and Blu-Ray; since then, the rights were purchased by Olive Films, who have constructed a similar quality effort for the film's 30th anniversary. Though owners of the earlier Blu-Ray will be frustrated with several of the changes presented here (as there's almost nothing in the way of overlap), it's still a solid release that fans should appreciate. Presented in a slightly modified 1.78:1 aspect ratio (as opposed to the original 1.85:1 presentation), Cujo nonetheless looks about as good as possible under the circumstances. This was never a pretty film, as the relatively drab color palette and diffused look is either a stylistic choice or a result of cheaper film stock. This 1080p transfer appears to be similar---if not identical---to the previous Lionsgate Blu-Ray, which is generally good news: close-ups look crisp, textures are noticeable and black levels are usually quite consistent. This is a terrific presentation...and at the very least, fans should be extremely pleased that two quality 1080p releases exist to choose from. For my money, one's just as good as the other. The audio is slightly different as well...but once again, we're not necessarily losing anything essential. Lionsgate's 25th Anniversary release featured a DTS-HD 5.1 Master Audio remix, as well as a lossy Dolby Digital mono port of the original audio mix. The former didn't add a great deal to Cujo's thin and relatively flat sound design, so Olive's new 30th Anniversary release presents the original mono as a new lossless DTS-HD 1.0 Master Audio track. I don't miss the 5.1 remix at all, and the bump to lossless adds a bit more weight to the limited source material. Unfortunately, no optional subtitles have been included. Seen above, the attractively spooky menu (and matching cover art) replicates one of the original Cujo poster designs. Navigation is smooth and simple, though a few trailers and warning screens must be dealt with beforehand. This one-disc release comes in a standard keepcase and includes a promotional insert. Just one, but it's a new Audio Commentary with director Lewis Teague and moderated by Olive Films' Jeff McKay. This is an entertaining and informative track, and one that's more organized than the Teague commentary found on older releases. It's partially due to McKay's input as moderator, which should be a requirement on commentaries where the participants aren't normally as talkative. This is a fine chat that fans should enjoy, though it doesn't cover much new ground compared to extras we've seen before. Which brings us to this disc's only real bummer: the 45-minute "Dog Days" featurette from the 25th Anniversary disc hasn't been ported over (and, of course, neither has the earlier commentary). This isn't a huge letdown since Teague's newer commentary gives a solid overview of the production experience, but those who enjoyed the retrospective featurette might want to hang on to their older versions. 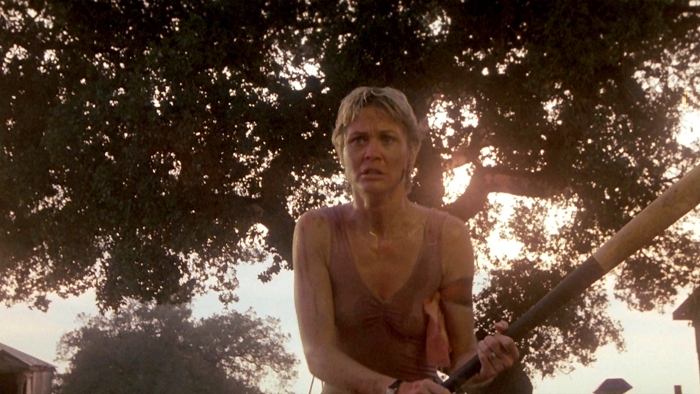 OK, so Cujo isn't exactly essential cinema, but it's still a great little thriller that packs quite a punch during the nail-biting second half. Lewis Teague's adaptation of the Stephen King bestseller is a different beast than the source material, but it still boils down to "Jaws in a junkyard"...and that's not a complaint. Olive Films' new 30th Anniversary Blu-Ray features a slightly different A/V presentation compared to the previous release, and the extras are slimmer but still enjoyable. 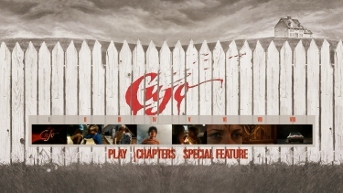 Firmly Recommended to genre fans who don't own Cujo in high definition, but less so if they already have Lionsgate's 25th Anniversary release.